CloudFuze 2.0 made it easy to move files from Google Drive account to OneDrive accounts in addition to facilitate Synchronizing and sharing files of multiple Google Drive account and OneDrive accounts, now one can move/copy/transfer files from Google Drive account to OneDrive account (or) OneDrive account to Google Drive account.  Below are the 3 simple steps to move files between Google Drive and OneDrive accounts. Step 1: Click on “Move” button on the left menu on the CloudFuze webapp home screen . 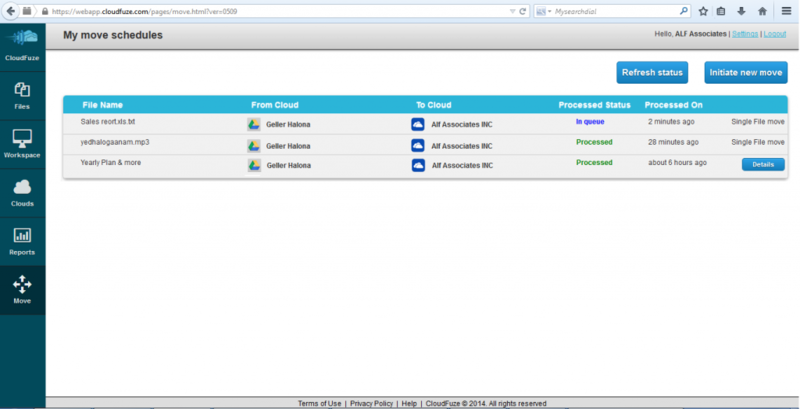 On this screen, you can select the “Source Cloud” from the list of cloud services that you set up withinCloudFuze. 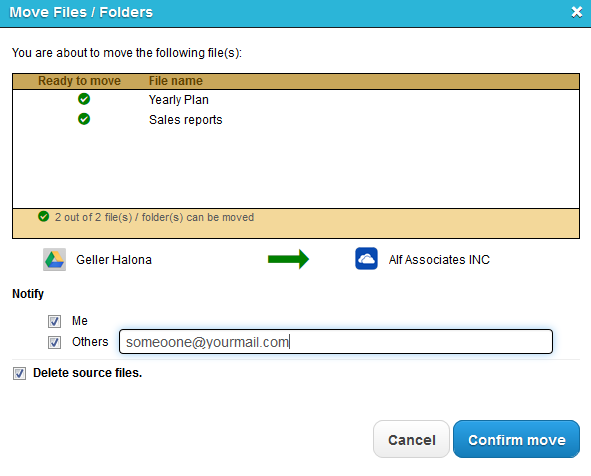 Step 2: Select the Google Drive account that you would like to move/transfer a file from . When you select this account, you will see list of files and folders stored in that particular Google Drive account. Step 3: After you click on “Confirm Move” . You will see a message that the move has been initiated.